Recovering from a workout is a very underrated part of training, particularly for those of you who are looking to upgrade your training from casual to elite. Increasing your sleep time, allowing your muscles to rest, and eating the right foods are all great ways to recover. When it comes to supplements, there are also a lot of great post workout products out there, that can really help you to recover after a particularly strenuous session. When building our list of top-10 products, we looked beyond the traditional ‘anabolic window’ solutions and into recovery throughout the day. It is fair to argue that the JYM product line literally redefined the supplement space. 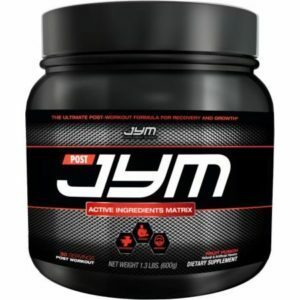 JYM was the first to bring to the market the combination of a ‘fully dosed’, 100% science backed and transparent labels. To a large extent any JYM product is by definition one of the best in its category, for the simple reason that it is very hard to get better…. Post JYM is no different. With a well thought combination of ingredients that brings in 6g of BCAAs (3:1:1), 2g of creatine HCL, 3g of glutamine, 2g of Beta alanine, 1.5 grams of Betaine, 1g of taurine and 1g of Carnipure. All of these work together and separately to help your muscles recover better, stay stronger and grow faster in the most optimal way. It’s important to recognize the difference between post-workout tiredness and suffering from overtraining. After any workout you should feel tired, maybe a little sore or stiff, but that’s about it. Overtraining is a chronic issue that can affect mood, appetite, sleep quality, and your results. Ambrosia Overtraining Solution is a supplement aimed at addressing this issue and it has some interesting ingredients to help it do so. Namely “Immulina”, an ingredient that comes from Spirulina, that has been found to improve overall immune system response to exercise, which is important as overtraining can cause the immune system to weaken. It also contains Recovery Fraction Peptides which can improve recovery time, boost immunity, and stimulate muscle protein synthesis. With its innovative approach to post workout recovery, Ambrosia’s over training solution gets a well deserved top spot on our list. Currently available exclusively at Tigerfitness. 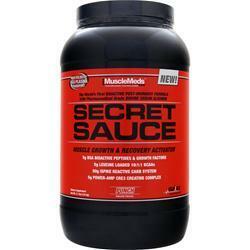 Secret Sauce from Muscle Meds is designed to create an insulin spike post workout and contains the ingredients: Maltodextrin, Waxy Maize, Amylase, and Glucoamylase that will cause this. An insulin spike is great after a workout as it allows protein synthesis to occur faster and get all the required nutrients to the muscles. To really kick protein synthasis MuscleMeds added BCAAs in a 10:1:1 ratio, with a larger amount of Leucine than most supplement use, which will also help muscle protein synthesis. Add to that 5g of Creatine per serving and you got yourself everything you need to recover and grow. Dark Matter has been around for quite some time and the original version, though popular got discontinued. The new version coined DARK MATTER ‘TOTAL RECOVERY’ brings in a significant upgrade that has launched it into this list. Most notable in the new version is 13g of whey concentrate per serving, 26g of carbohydrates coming from glucose polymers and dextrose, 3g of BCAAs at a 10:1:1 ratio, 5g of creatine monohydrate and 3.5g of glutamine. Talk about a seriously complete recovery blend! Dark Matter launches in 3 flavors and they are all adequate (not brilliant). Universal Torrent is a different animal compared to the rest of the products on this list. It is a high calorie protein & carbs formula designed to be the end-all of post-workout mix. Bringing in protein – carbs BCAAs and Creatine. Starting with 20g of super fast absorbing whey protein hydrolysate and then 52g of carbs per serving coming from a mix of waxy maize starch for quick uptake and delivery – not super quality sources but a lot of them. To finish the ‘all you need’ list, Torrent adds in an Amino complex and 3g of creatine. Pricing wise it is hard to compare Torrent with the rest of this list (it is way more expensive per serving), which is a direct result of its super loaded label. 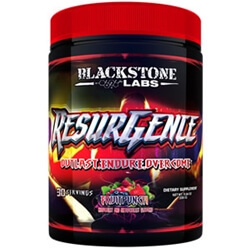 Resurgence is actually designed as an all-day supplement, that can be taken morning, noon, and night. The company claim that you can take it as both a pre-workout and a post workout shake. It contains large doses of amino acids and Nootropics such as CDP-Choline (check out our top 10 nootropics article for more information on this). There are also a high amount of vitamins in this supplement which is quite nice. Unlike most of the supplements on this list which are focusing on sleep quality, and muscle repair, Resurgence is built to help you throughout the day, to train better, to focus more, and to recover from exercise. An excellent stand-alone product, or one that you could easily combine with a supplement such as Ronnie Coleman’s Ressurect-PM. Created by one of the greatest Bodybuilders of all time, Ronnie Coleman’s Ressurect-PM is a fantastic post workout supplement. As Ronnie himself used to only sleep 4-5 hours a night, he claims that he used to make sure that the quality of the sleep was as high as possible. This supplement is designed to do that. It contains GABA which can improve sleep and relax you, HICA which may lower muscle soreness, and Arginine that which can increase growth hormone release during sleep. A lot of reviewers have commended the flavor of Ronnie’s supplement, with Strawberry Watermelon flavor being particularly popular. 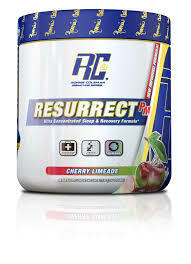 This is a really good recovery supplement, created by a living legend. Would go well with Ronnie’s Amino-Tone which we covered in our top 10 intra-workout supplements article. 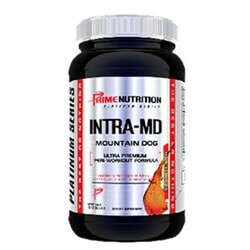 Intra-MD from Prime is actually an Intra-workout disguised as a post-workout supplement, but due to the ingredients, it contains it could easily work as both. You’ve got your BCAAs: Leucine 3g, Isoleucine 1g, and Valine 1.5g), plus Citrulline Malate, Taurine, Glutamine, and Theacrine. These ingredients will help increase your pump which is great for fuelling your muscles post-workout, and there are other ingredients such as Hydromax which will help stimulate muscle protein synthesis. 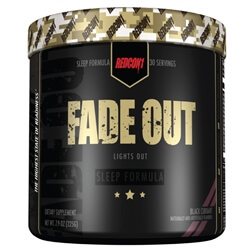 What a great name for a supplement that aims to improve sleep quality – fade out. Redcon1 is always looking for interesting ingredients for their supplements and Fade Out is no exception. A great supplement that contains uncommon ingredients such as Valerian root (which is used to fight sleep disorders), and Mucuna Pruriens which can increase dopamine, and possibly increase testosterone. There’s also Melatonin, Zinc, and Magnesium which can all help improve your sleep. When it comes to sleep improvement, Fade Out by Redcon1 is a match for any other. 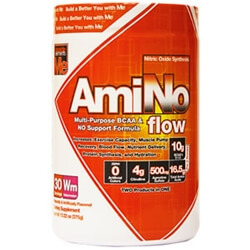 Another supplement on this list from Muscle Elements, AmiNO Flow is a really decent recovery supplement. There’s 6g of BCAAs, then ingredients to create a really good pump (L-Citrulline, Agmatine, Grape Seed Extract), and some ingredients to improve hydration. A perfect peri-workout, but also good as a post-workout. 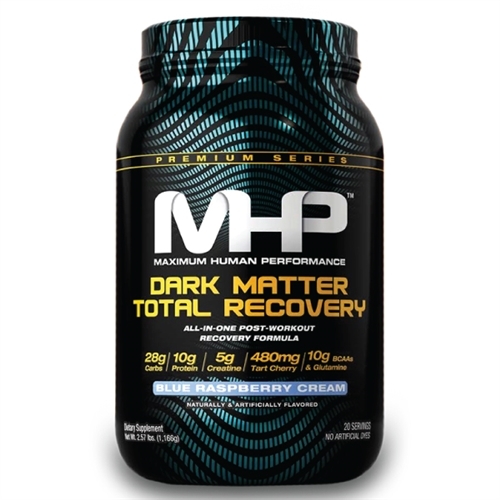 See the hottest Post Workout & Recovery Supplements Deals from around the web!